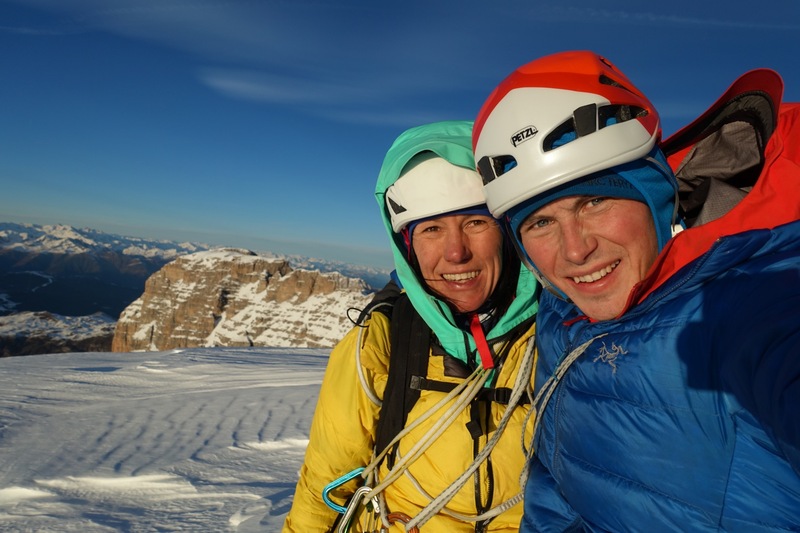 First repetition and new variation of "Selvaggia sorte" on the 600m west face of Cima Tosa 3133m in the Brenta by Ines Papert and Luka Lindič on 1st January 2019. After some wonderful Christmas holidays with family and friends back home in Berchtesgaden, we spontaneously decided to explore the Brenta group in the western Dolomites. As usual with a few calories too much and clearly too little movement through the holidays grew the desire for long days in the mountains. The conditions were promising and the weather was supposed to be windy but stable. We could imagine skipping the New Year party and instead climbing in the Alps. For both of us a climbing trip to the Brenta was a premiere and the long ascent during the dark morning hours in unknown terrain was not an option. On 30th December in the afternoon we shouldered our backpacks with tent, equipment and food for 2 days. The short days made an early stop necessary. Quickly our little tent was set up and the anticipation to try something unknown was huge. The next morning we quickly noticed, that the route Filo d´Ambience (first climbed on December 15th, 2018) was in worst conditions than expected, since most of the ice was delaminated already. Wind and cold had changed everything a lot. Now it was almost too late for a big wall on the last day of the year. We quickly made the decision to explore the surrounding walls and to create a good plan for the New Year's Day. We were intrigued by the spectacular valley surrounded with peaks and walls. We could see the thin ice lines everywhere but were in doubt which one would offer the best conditions. And there it was, the most obvious line leading almost to the summit of the Cima Tosa with 3133 m, the second highest peak of the Brenta. Ice glued like plastic to the dolomite rock. All we knew was that we were climbing the west face of the Cima Tosa, but abandoned gear in the route soon led us to believe it was an existing route. 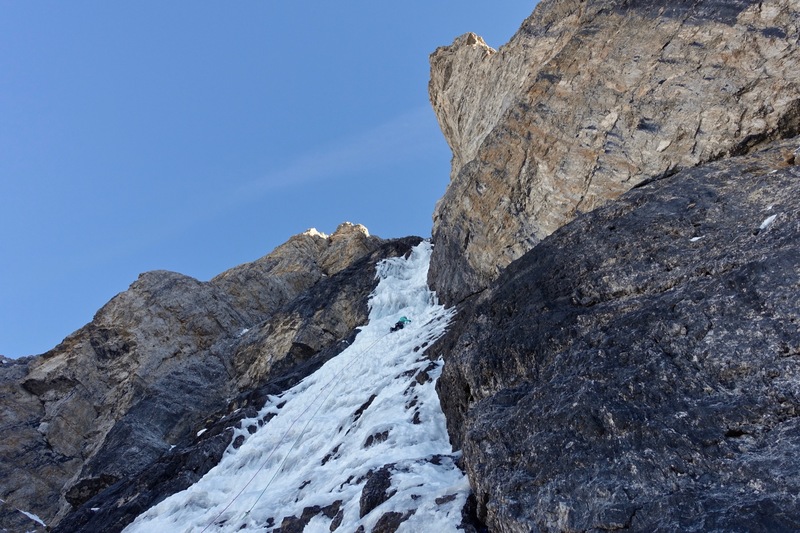 We took the direct line up ice that formed this year and the signs of other climbers disappeared. 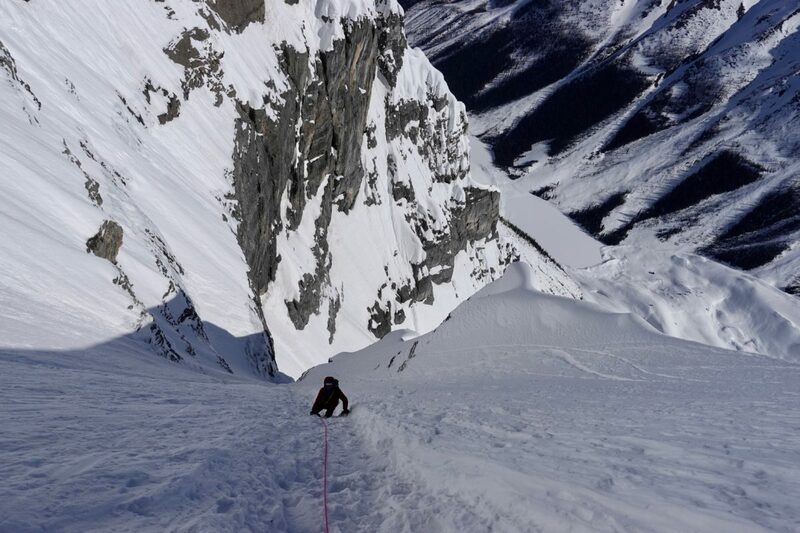 Thin, difficult to protect ice, was just good enough to enable us to always follow a direct line up the steep face. 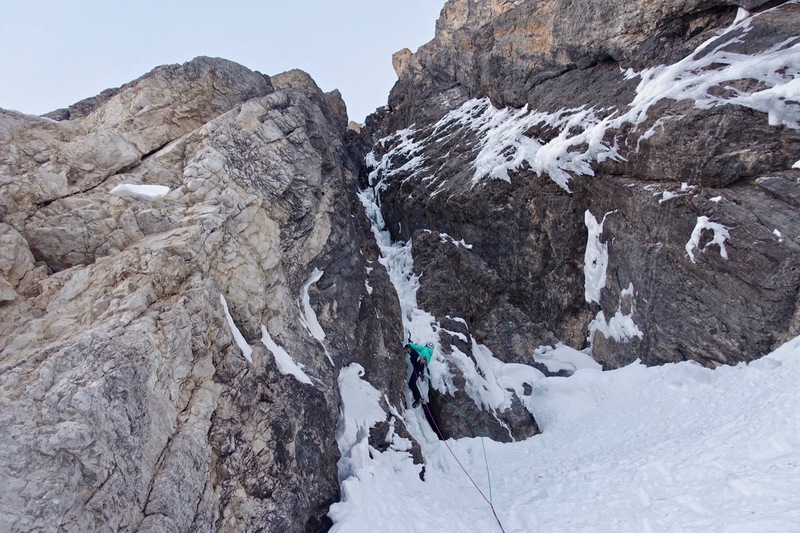 Each pitch held a surprise and offered more challenging climbing than expected. Soon the steep wall turned into a gully that we followed to the end. A few hundred meters higher we reached the summit of Cima Tosa at 16 o'clock and had just enough light to find the descent (3x rappelling) on the south side. At about 7.30 pm we reached our little tent, packed up quickly and ran back down to the valley for a pizza. Luka commented: "In Slovenia, we have a saying: What you do on the first day of the year, you will do all year." Well, we certainly won't be climbing a big mountain face every day in 2019 but definitely look forward to the trip to the Canadian Rocky Mountains in the spring. 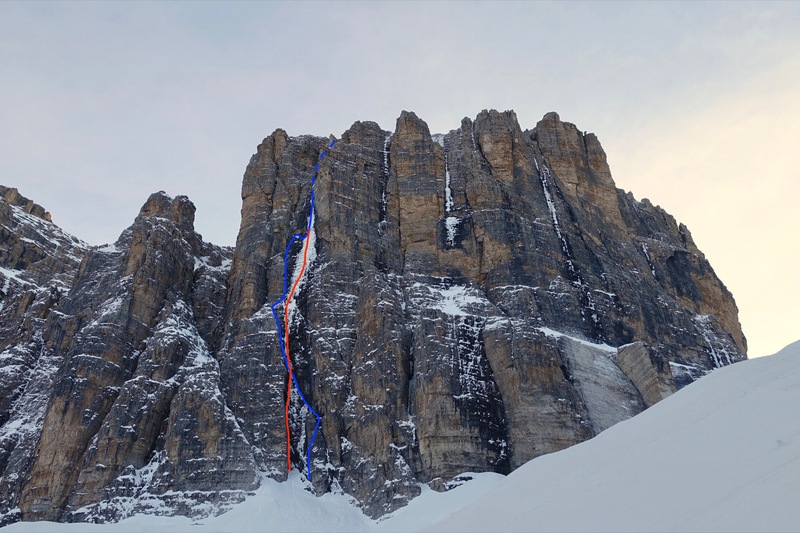 Note: Selvaggia sorte M5 +, WI 5+ was opened in March 2013 by alpinists Tomas Franchini and Alessandro Lucchi and never repeated, according to Franchini. The team climbed the route until the end of the difficulties but had to skip the climb to the summit due to the onset of darkness and fog. When abseiling they run into the problems with rope, hence the route name (wild / bad luck).